The global Days Sales Outstanding should remain constant this year, gravitating around 64 days. While a slight improvement is showing in Western Europe and a steady average of 50 days is benefiting the U.S., the payment terms in Brazil and China are still increasing, with for the latter over 130 days in both the Electronics and the Machinery & equipment sectors. 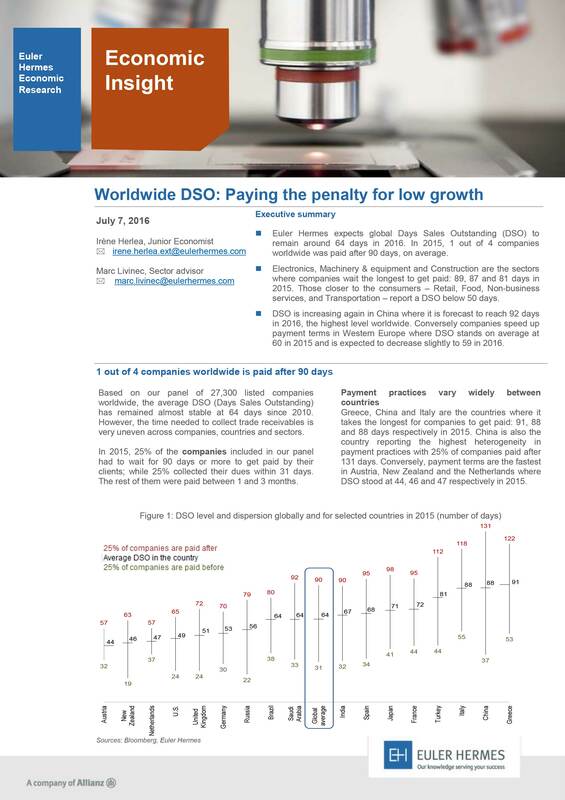 Find out more about worldwide DSO in this study.